If you haven’t yet switched over to the new Twitter profile, which was introduced early last month, you’ll be required to do so soon. The redesigned profile has already been rolled out to existing members through an opt-in prompt; however, it will be made mandatory for all users on May 28th. So if you haven’t given any thought to your new Twitter profile, you need to start now. To recap, the updated profiles feature larger profile and header images, new timeline views, and the ability to pin a tweet to the top of your profile. As you move forward with planning, pay close attention to the content you’re sharing. Brands need to clean up their timelines and make the most of their best tweets and pinned tweets. You can read more about these best practices below, as well as see some examples of how brands are using the new design creatively and effectively. Photos have been outperforming all other link types on Twitter, so it’s no surprise that a greater emphasis is being placed on the medium. As such, you should approach the new look with careful consideration around the different types of visuals you’ll use. The header image, which now spans the top of the screen, should be at least 1500×500 pixels. You might consider using a 3000×1000 photo or save your 1500×500 image at the highest possible resolution you can manage (without exceeding the 5MB maximum) to optimize for larger screens. For your profile image, Twitter recommends a 400×400 minimum. Again, it’s recommended that you use the highest resolution possible. It bears repeating that background images are no longer needed as your header image is now the main focus of your design. This could be an obstacle for pharmaceutical brands using background images for Important Safety Information (ISI) or legal information. Instead, those brands might consider utilizing pinned tweets to highlight this information. Tweets that receive extraordinary engagement will appear larger on the new Twitter profile. As you can see, those tweets really jump off the page. While you can’t control engagement, and there’s really no such thing as a “viral tweet” formula, what you can do is ensure that every piece of content you share is “top tweet” material. This means reviewing your previous tweets and learning which messages, images, videos, and so on have worked best for engagement. And just because you can pin a tweet to the top of your profile doesn’t mean that it deserves to be there. Unlike Best Tweets, you actually control the content that appears at the top of your page. Choose this tweet wisely and strategically. This spot should be used for product announcements, calls-to-action, and other noteworthy pieces of content. If you’re in the middle of a hashtag campaign, find your most engaged with tweet that mentions the hashtag and pin it up there for all to see. 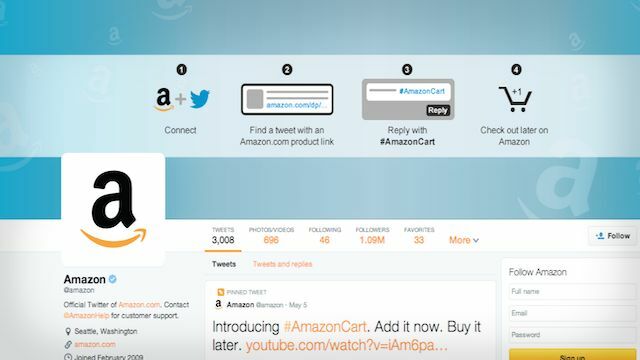 From its header image to its pinned tweet, Amazon takes advantage of Twitter’s new design elements to help promote #AmazonCart. Anyone who sees the header image immediately gets a sense of what the product is all about. But if a viewer needs more information, they can just scroll down to the pinned tweet, which features a helpful video. Not only is Amazon’s design timely (#AmazonCart was announced earlier this week), but it’s a great example of how Twitter Profiles can be used cohesively to promote a product. Here’s a great example of a brand using its header image to inspire action. 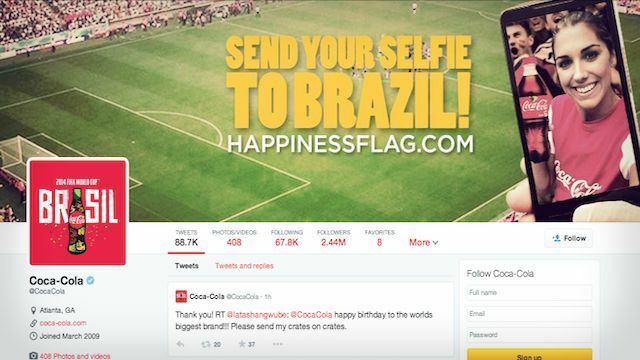 Coca-Cola’s Twitter Profile immediately grabs visitors’ attention with a clear call-to-action. Want more details on how to participate? The URL is right there in the header, freeing up the pinned tweet spot for something else. When your profile photo is just your company logo, you had better make sure that your header image stands out — and UPS delivered. 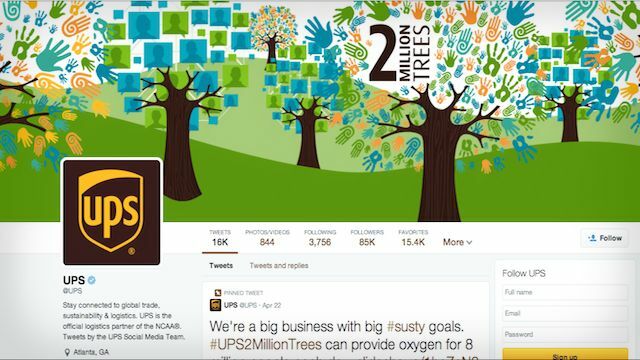 The company’s header is full of vibrant colors and images which balance perfectly with its #UPS2MillionTrees initiative. Although it doesn’t place a call-to-action in the header, UPS makes great use of its pinned tweet with more information about the campaign. By pinning its infographic, visitors are greeted with yet another visual which received an impressive amount of engagement. Last, but certainly not least is Lyft. Rather than use its header for self-promotion, the brand is letting its fans speak for it. 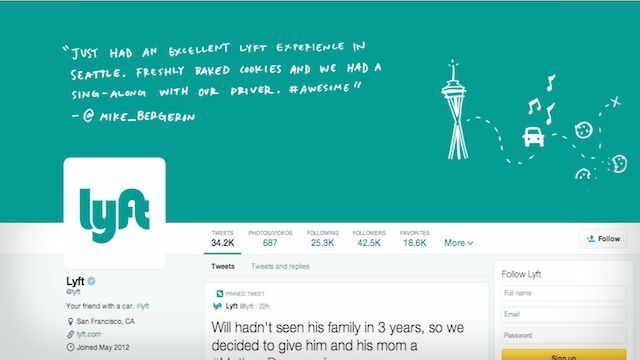 The company turned a tweet from one of its customers into the main focus of its Twitter profile. This is a great way to call attention to customer experience, which is a huge component of any brand’s marketing strategy. More than calling attention to positive feedback, it demonstrates that Lyft is actually listening. With only a few weeks left until the new Twitter profile is rolled out to everyone, now is the time to brainstorm these different elements for your brand’s presence.